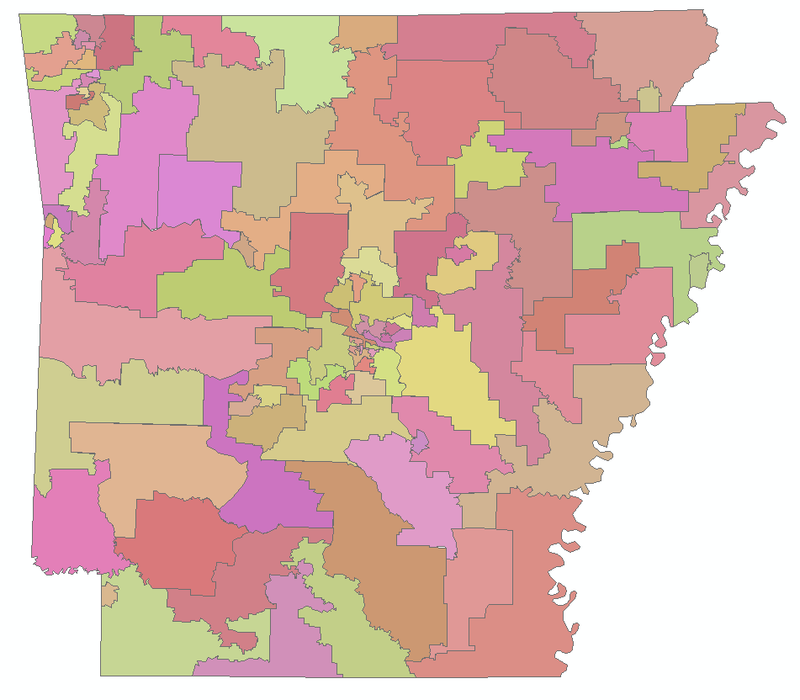 This layer represents the Arkansas State House of Representatives district boundaries adopted by the Arkansas Board of Apportionment on July 29, 2011. The Board of Apportionment, members were Governor Mike Beebe, Secretary of State Mark Martin and Attorney General Dustin McDaniel. The Board’s composition and purpose were created in 1936 by Amendment 23 to the Arkansas Constitution. The Board is responsible for redrawing 100 House and 35 Senate Districts so that each district meets various legal criteria, including each district being about the same size in population. 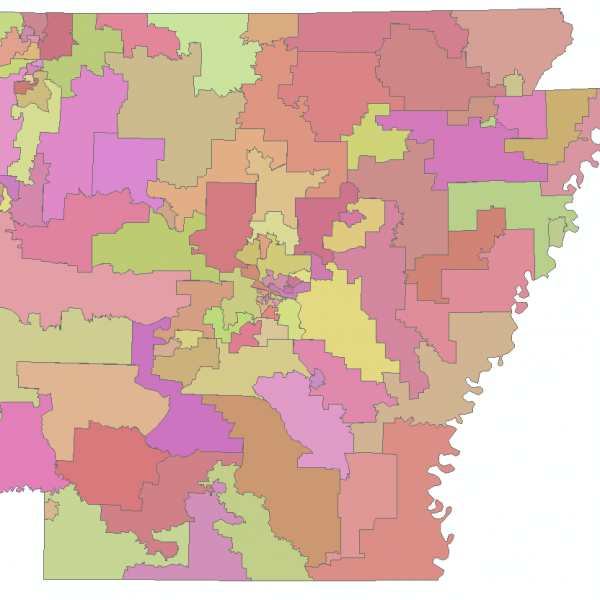 This redistricting is required by law once every 10 years after the Federal Census. The District boundaries represent the legal boundary of each district. The boundaries were extracted from census block, voting district (VTD) or county boundaries in the 2010 Census files. A public record of the boundary plan is on file at the Elections Division of the Arkansas Secretary of State Office.